Meeta Pandit. Photo courtesy Boxclever Media. Highlights of Strauss Reflected with John Suchet, Meeta Pandit and Sinfonia Verdi on 4 November, 2017 at Cadogan Hall. 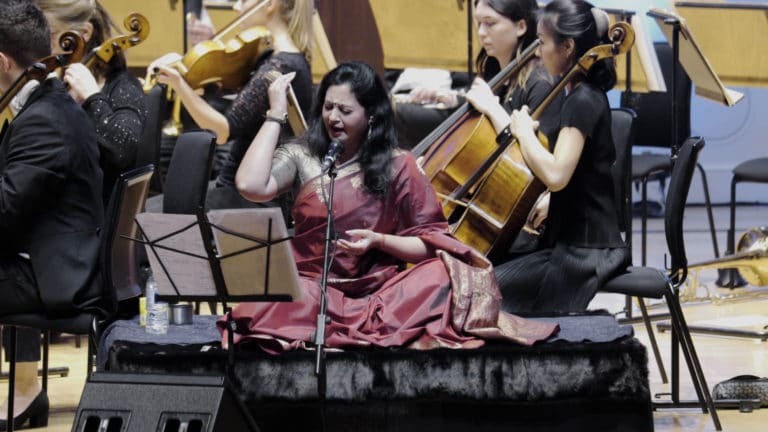 The performance reveals the emotionally charged lives and works of the Strauss family through Western and Indian classical music and storytelling. Video courtesy: Box Clever Media. Edit: Vicky Shilling.